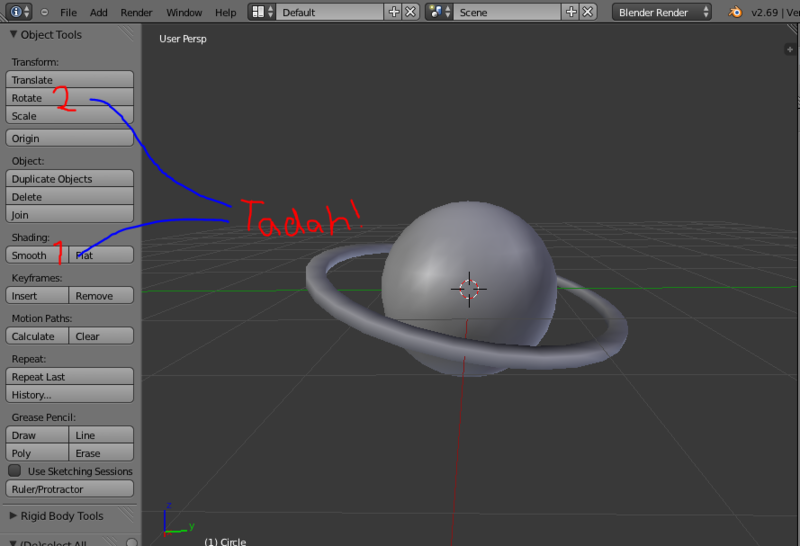 I thought of teaching some basic modelling before we get into how we program 3D games, so you don't always have to look on Google for fancy 3D models :) - In this tutorial, we will model something that look a very little like Saturn. 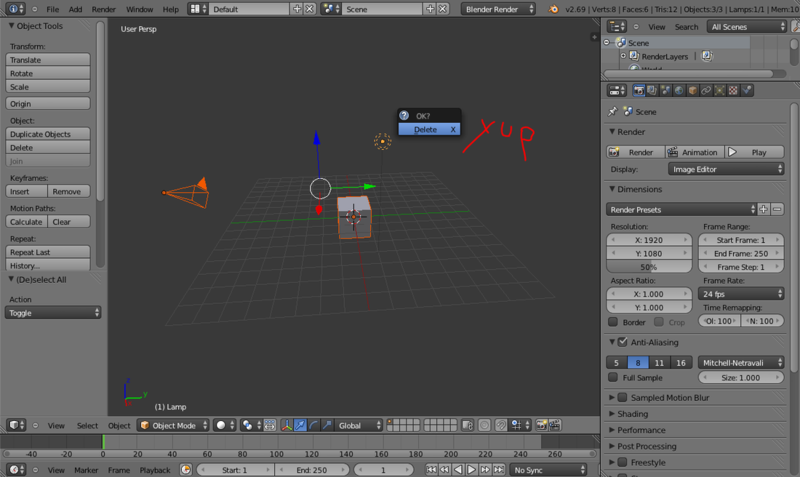 The version I'm using here is Blender 2.69. 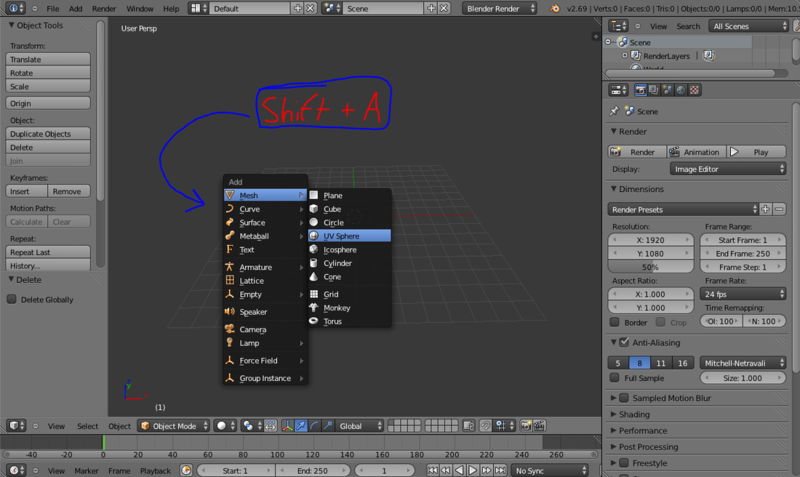 To the left you see all the stuff you can do to modify objects, or their mesh. A mesh is the frame of a 3D model, without textures. Let us delete them all by selecting all of the objects, and deleting them. Our target is to make a planet. A planet is round. Therefore, add a sphere. 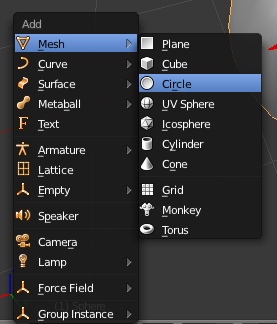 When you add a new object, the left pane makes you able to configure it. I didn't configure it for this planet, but just notice it for other projects. You make notice the sphere to look a little edgy. 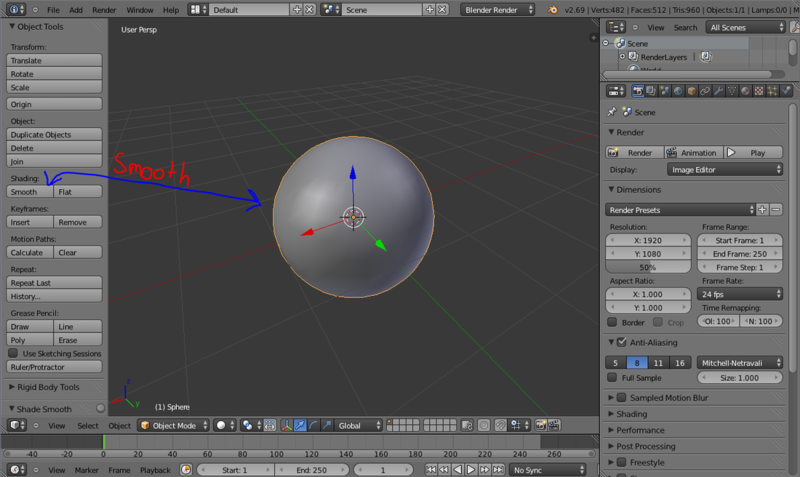 Simply click "smooth", and the sphere will be all smoothed. 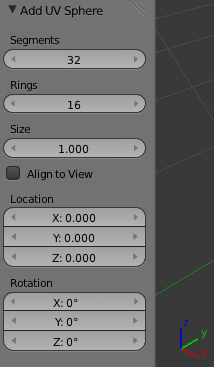 We now want to edit the ring, to make it thicker. The first thing we want to do is to make it a little bigger. Press S to scale it, or simply click the button in the left pane. Now we want to make it a little bit taller. 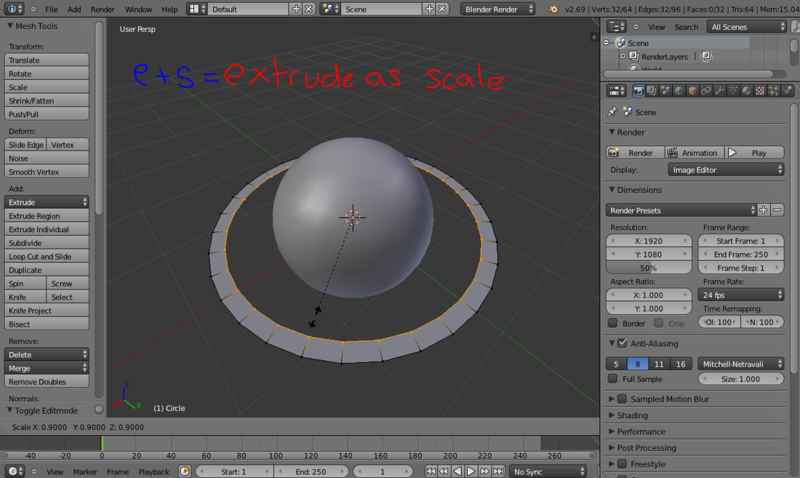 So you select the whole mesh by pressing <A>, and then extrude it again by pressing <E>. If the extrude does not align to the Z axis, press Z to do so (but expect it to be aligned already). Notice that you can also press X and Y after pressing E to align it to a specific axis. Pretty sweet function. 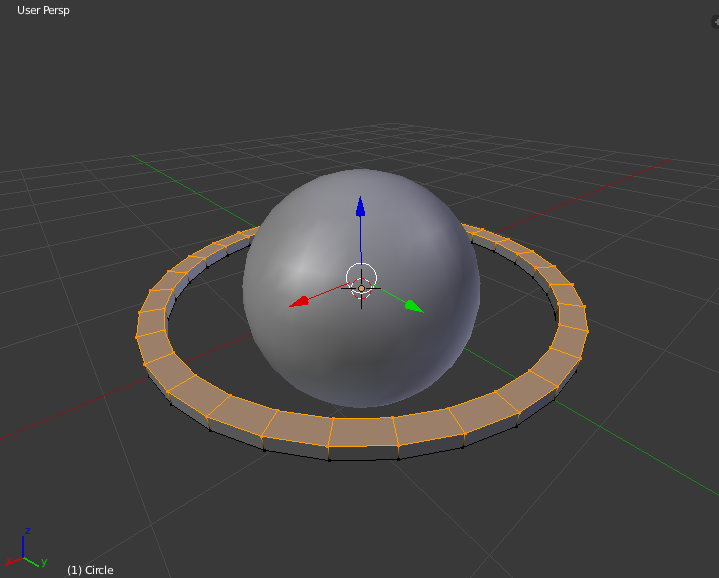 Switch back to object mode, and smooth the ring. 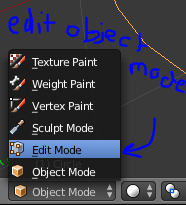 If you want, you can rotate it a bit by pressing R, but first, enter Object mode again.